Subha Ramani, MBBS, MMEd, MPH, is an Assistant Professor of Medicine at Harvard Medical School, and a faculty member in the Division of General Internal Medicine at Brigham and Women’s Hospital (BWH), Boston, MA. She is a general internist with interest in complex clinical problems, practices primary care at the Phyllis Jen Center, and supervises and teaches residents in outpatient and inpatient settings. As the Director of Evaluation and Educational Scholarship for the Internal Medicine Residency Program, she leads a few educational initiatives in the Department of Medicine, aiming to increase educational research and scholarship among residents. Dr. Ramani leads the assessment redesign in the residency program which includes implementation of a milestones-based assessment system, improving the feedback process within the department and faculty development in these areas. Her other educational leadership roles include serving as a course director for the Department of Medicine Medical Education day and the Research in Medical Education course for the HMS MMSC in Medical Education. Dr. Ramani has long been a champion of bedside clinical teaching to enhance clinical skills and clinical reasoning among residents. She is currently participating in an initiative to implement regularly scheduled bedside teaching rounds for residents by expert bedside teachers in conjunction with a teaching resident. This initiative will not only engage expert clinicians in directly teaching residents, but also motivate residents in improving their own clinical skills as they participate in the teaching of these skills. She is a member of the HMS Academy and participates in and presents faculty development sessions for educators. Finally, she is enrolled in a PhD program in Health Professions Education at the University of Maastricht, Netherlands. Her research aims to explore the institutional feedback culture and improve the giving and receiving of feedback within the department of medicine. 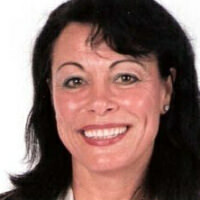 Patricia S. O’Sullivan is Director, Research and Development in Medical Education, Center for Faculty Educators at the University of California, San Francisco School of Medicine. At UCSF she directs the Teaching Scholars Program and oversees the doctoral program in health professions education as well as leads efforts in faculty development and educational research. The faculty development program received the international 2016 ASPIRE for Excellence award. Dr. O’Sullivan has led the Research in Medical Education Section of the Association of American Medical Colleges, of the RIME Program Planning Committee and of the Division for Professions Education of the American Educational Research Association. Her educational research studies have collaborators from medicine, nursing, pharmacy, and health related professions. Her work has been recognized as a Fellow of the American Educational Research Association and as the 2011 recipient of the Merrill Flair Award of the Association of American Medical Colleges Group on Educational Affairs. 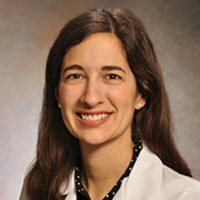 Karen Law, MD received her undergraduate and medical degrees from Brown University. A native Atlantan, Dr. Law returned to Emory University for her residency in internal medicine, where in her third year of residency, she was elected to Alpha Omega Alpha by the graduating medical school class for excellence in teaching. Dr. Law served as chief resident in internal medicine at Grady Memorial Hospital. She then went on to complete a rheumatology fellowship at Emory. 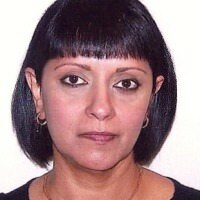 She accepted a position as assistant professor in internal medicine in Emory’s Division of Rheumatology in 2011. Since then, she has had served in several education leadership roles in the Department of Medicine. She served as associate director of the internal medicine clerkship from 2011-2016, and she was selected as a small group advisor in the Semmelweis Society for Medical Students in 2013. She received the prestigious Clinician Scholar Educator Award from the American College of Rheumatology in 2013 for her work in teaching critical thinking and diagnostic reasoning. She is a 2014 graduate of the Harvard Macy Program for Leaders in the Health Professions. In 2015, Dr. Law was elected to Emory’s Academy of Medical Educators and received the Dean's Teaching Award. She is a fellow of the Woodruff Leadership Academy's Class of 2016. In 2016, she was named program director of Emory University's J. Willis Hurst Internal Medicine Residency, one of the largest internal medicine training programs in the country. Her areas of interest include teaching diagnostic reasoning and high-value care, bedside physical examination skills, and near-peer education. Cindy grew up in Pittsburgh, PA, during the glory years of the Pittsburgh Steelers. She attended Wellesley College and worked as a healthcare consultant in Chicago prior to entering Harvard Medical School. She completed her Internal Medicine training at MGH in 2002 and spent a year working as an ER physician in the tiny Cottage Hospital on Nantucket Island, gaining competence in fish hook extraction and stabilizing vacationers with ill-timed acute coronary syndromes for MedFlight transport. 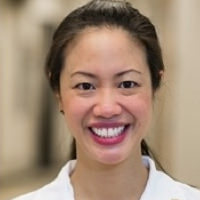 She was Chief Medical Resident at MGH from 2003-2004 and then completed a fellowship in Nephrology at MGH and Brigham Women’s Hospital prior to joining the Inpatient Clinician Educator Service, now Core Educator Faculty, the main teaching faculty for the Department of Medicine at MGH. Cindy teaches in numerous Harvard Medical School courses in multiple Harvard Medical School courses including the first-year Homeostasis II as a core Renal physiology educator and the fourth-year “Into the Wild Blue Yonder” Capstone course for graduating students who have matched into Medicine-based specialties. 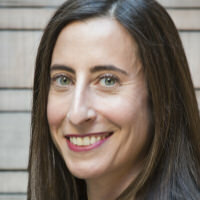 She is the MGH site director for the Physical Diagnosis and Reasoning component of HMS’ first-year Practice of Medicine course and is course director of HMS’ Transition to the Principle Clinical Experience. Her interests outside of the hospital include memorizing oodles of useless trivia about celebrities, making earrings (which decorate the ears of many women at MGH) and going on adventures with her two kids. 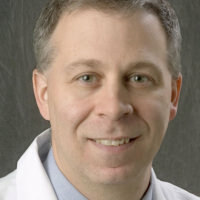 Michael D'Alessandro is a Professor of Radiology at The University of Iowa pursuing research in educational informatics and practicing pediatric radiology at The University of Iowa Children's Hospital. He pioneered the development in medicine of digital textbooks, digital libraries, institutional repositories and communities of practice and his current work can be found at http://www.educationalinformatics.org. His work has received awards from the Medical Library Association, the United States Navy, the Society for Pediatric Radiology, the American Academy of Pediatrics, and the Royal College of Radiologists. A native of Grosse Pointe Farms Michigan, he received Bachelors' in Biology and Computer Science and a M.D. from Wayne State University, completed a residency in Diagnostic Radiology at the University of Iowa and a fellowship in Pediatric Radiology at Boston Children's Hospital / Harvard Medical School and currently lives in Iowa City, Iowa. Dr. Tia Kostas is an Assistant Professor of Medicine at the University of Chicago, in the Section of Geriatrics & Palliative Medicine. She attended Mayo Medical School in Rochester, MN, and completed her residency in internal medicine at Brigham & Women's Hospital in Boston, MA. She also completed the Harvard Medical School Geriatric Medicine Fellowship Program. Dr. Kostas is a clinician educator with special interests in interprofessional education, medication management, and cognitive impairment.